Across a welcoming wooden bridge, nestled amongst preserves, winding trails, and boardwalks, you will discover NatureWalk at Seagrove. This ultimate walkabout community in Santa Rosa Beach has a prime location near the famed 30A in addition to providing residents with the amenity-rich Gathering Place and direct access to Point Washington State Forest. Here, our residents love the endless year-round activities that NatureWalk provides them. A short stroll away are artsy villages, upscale resorts, funky beach bars, and world-class restaurants with everything that you could possibly want or need. With the perfect balance of a prime, walkabout location, breathtaking views, and endless activities, NatureWalk at Seagrove truly is the ultimate beach community. Located along the Emerald Coast, this area has long been recognized for its pristine white sand beaches, the vibrant colors of the Gulf waters, and its quaint village charm. As beautiful as the setting, this fabulous beachside destination is most cherished by families for the memories created and the laughter shared across generations. 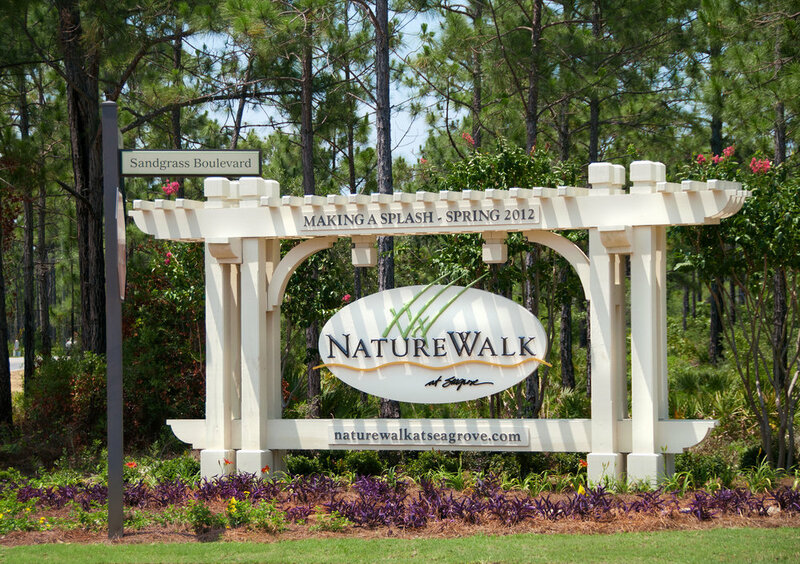 NatureWalk is ideally located along the popular road, 30A, where everything — and everyone — in town come together. Life along 30A allows for endless camaraderie, nearby family entertainment, and of course, an exclusive closeness to the beach. At NatureWalk, life is most enjoyed outdoors and here, there are many special places for you and your family to enjoy and explore any time of the year. Fort Walton Beach is part of the Gulf Islands National Seashore, named "Best East Coast Beach" in the USA Today 10 Best 2016 Readers' Choice Awards. Home building is an art that goes far beyond the features in any list. While KOLTER offers the same features that should be found in any luxury home, KOLTER goes further and strives to improve upon simply providing solid construction. Years of research with buyers and homeowners have resulted in KOLTER’s groundbreaking approach to home building.